Only 16,776 Miles! Boasts 37 Highway MPG and 26 City MPG! Carfax One-Owner Vehicle. This Nissan Altima boasts a Regular Unleaded I-4 2.5 L/152 engine powering this Variable transmission. SPORT INTERIOR, CLOTH SEAT TRIM, GUN METALLIC, [L97]. [K02] MIDNIGHT EDITION PACKAGE -inc: Black Mirror Caps, LED Headlamps w/Signature, Black Spoiler, Remote Engine Start, Wheels: 18" Exclusive Midnight Black , [H92] REAR USB PORT, [B94] CHROME BUMPER PROTECTOR, [B92] BODY COLOR BODY SIDE MOLDINGS, [B10] SPLASH GUARDS, Window Grid Diversity Antenna, Wheels: 18" x 7.5" Sport Aluminum Alloy, Valet Function, Trunk Rear Cargo Access, Trip computer. 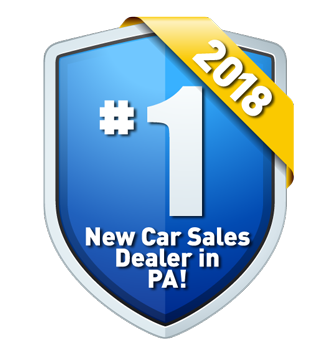 Test drive this must-see, must-drive, must-own beauty today at Lehigh Valley Honda Hyundai, 675 State Ave, Emmaus, PA 18049. This car comes with the added protection of our "Q" Certified Program which means you get the following: 2 year / 100,000 mile powertrain limited warranty, a free Carfax History Report, 128 point inspection, rental reimbursement and much more.Financing Available, Trade-ins Welcome.Contact us at 800-902-4704 and ask a salesperson for complete details. We do not add Dealer Prep charges or hidden fees to our prices. *Prices shown are suggested retail prices only and do not include taxes, license, doc or dealer prep fees if applicable. Prices do not include the cost of any dealer installed accessories if applicable. See salesperson for complete details or please contact us with questions. Not responsible for typographical errors.